Perfect logistics require perfect partners. Thus we can ensure top quality worldwide. The global selection of the TCI cooperation partners is since 25 years done with a strict and intensive qualifying process. Your advantage: No matter where you want to deliver your goods or from where you want to import goods – thanks to our excellent network we can offer you an exceptionally high standard, everywhere. CTL is an integrated logistics specialist. As a partner of German and European forwarding companies CTL develops and optimises tailor-made logistics solutions for you. With trouble-free processes, high quality and low costs. The main service contains the organisation, implementation and transportation companionship in the European seaport hinterland transport. The container transport is realised with competent market knowledge of the procedures in seaports and in the European hinterland terminal. That includes the spot business as well as the demanding process sequences within your supply chain management. WCA is worldwide the biggest network of independent logistics specialists, with more than 5,700 offices in 189 countries. The market share of the WCA members is increasing significantly from year to year. Whether there is a single shipment or an ongoing business, a small or a big shipment, a local shipment or a loading to the other side of the world: The WCA Advanced Professionals offer independent, local and regional services worldwide. With the highest service standard and enormous logistical power. All WCA Projects Network Partners were selected due to their special capabilities and experiences in value-added chains and cost efficient concepts. For logistical solutions on international top level. One of the leading companies in the worldwide export and import of goods. With excellent forwarding services. No matter in which regions of the earth the transport should lead. International top company with headquarter in London. 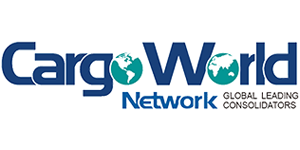 SFN members have access to 255 professional forwarding companies in 155 countries. Worldwide association of selected regional partners for LCL sea freight transports. Besides TCI there are members like AMASS International Group (China, Hong Kong and USA), FM Global Logistics (Southeast Asia and India), Boxline UCL (Italy, Adria and Baltics) as well as Consol Alliance (Australia).